bed. The modern shelving unit not only shows off your ornaments or possessions but encompasses an electric fire too. The kitchen is very modern in design and has some open cupboards to display your crockery or favourite glassware. 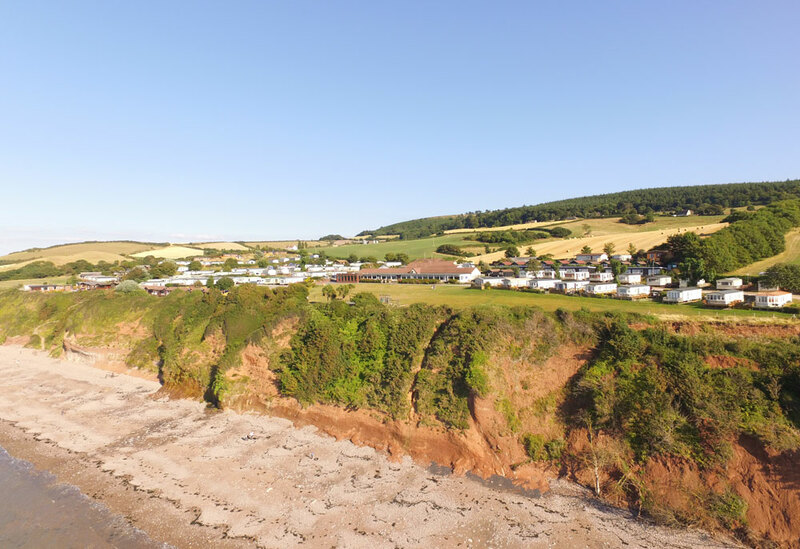 The integrated microwave, fridge freezer, gas hob, oven with electric ignition and an extractor fan, provide everything you need to start enjoying your holidays by the sea. The contemporary feel continues into the bedrooms with handleless furniture and feature design panels. The beds are very comfortable and have Duvalay mattresses ensuring a perfect nights sleep. Over bed storage and bedside tables feature in both bedrooms. The master has a vanity area with mirror and socket whilst the twin bedroom has one bed which stores under the other to create extra space when not in use. All in all a fabulous modern holiday home with great location and sea views.